“Pop music shouldn’t always get a bad rap,” says Top Pops!, a recurring selection of indie pop highlights across a selection of styles, updated every month to keep you on your dancing toes. Glasser graces us with her audio-visual explorations, Shy Girls croon their way into new hearts, CFCF gets slightly less theoretical, and more from Tezeo, Weird Owl, Club 8, Bam Spacey, and Hollow & Akimbo. There are some artists I’ve seen live and, as a result, began to trust with utmost faith. Cameron Mesirow is one of those artists — and this trust lies firstly in her live demeanor, secondly in her artistic style and collaborative pieces, and thirdly in her music on its own. There’s a sense of neo-spiritual strength in Mesirow’s live energy and the way she holds her head up high that is truly respectable, and a new Glasser album has been something I’ve been excitedly awaiting since the release of 2010’s Ring. Interiors will be out this October on True Panther Sounds and will incorporate a number of exciting audio-visual projects, which we will get into more in-depth next month with our interview with Glasser. For now, the album’s first single, “Shape”, combines the same sense of mature groove and wind-blown seaside whimsy that Ring incorporated; and the lyrics are entrancing throughout, but it is with the lines, “In the light of the truth all I can do is bow,” that the force that is Glasser shines through. Music video visuals by Jonathan Turner. While we’re at it, let’s also talk about the operatic vocals of “Design”, which slip and slide over a rotating landscapes of minimal synthlines and drum exchanges. There is so much to love in this track — and somehow the slithering sexuality of this music video, also directed by Jonathan Turner, makes perfect sense to me. I was initially a bit suprised that Portland’s Shy Girls opted for using this particular track as the second single for their upcoming EP, Timeshare — which comes out the end of October on Hit City U.S.A. and ASL. — but provides a slightly lighter, jazzy change of mood from the bedroom sultriness of their other tracks on the EP. Primarily the project of Dan Vidmar, Shy Girls have been burning up the local scene, with frat bros, young ladies, and indie folk alike eating up his smooth vocals like butter. These sounds have the potential to go far. Stay tuned with our interview with Shy Girls later this fall. CFCF aka Michael Silver’s 2012 release, Exercises, was a classically-driven foray into experimental composition (see: our CFCF interview. His July 3013 record, Music For Objects, was even more conceptual. In the documentary Notebook on Cities and Clothes, filmmaker Wim Wenders highlights the fashion of Gwen Stefani-approved Yohji Yamamoto, and Silver found deep meaning in composer Laurent Petitgand‘s ability to musically attach a story to inanimate objects like clothing. Music For Objects was Silver’s personal attempt at just that, with track names and subject matters as traditionally inexpressive as “Lamp”, “Bowl”, or “Keys”. On his upcoming October 2013 record, Outside, to be released on Paper Bag Records and Dummy Records, Silver seems to be dropping the theoretical — at least a bit — to offer up some more easily palatable music. Swirling and hypnotic melodies are still present with the heavily entrancing “Beyond Light”, as with his previous two releases — but on “Jump Out Of The Train”, so are vocal harmonies reminiscent of Active Child and a lyrical narrative to which one can attach oneself. This falsetto-frenzied track by Weird Owl isn’t in the same world as Southern California’s Sam Flax, exactly — but the bizarrely dissonant vocals and subtly posi sounds they throw down rub me in a similar way. Their new mini-LP, Healing, is out October 15th on A Recordings, LTD. When it comes to Tezeo, what everyone cares about is the fact that they’re a classically-trained duo that has since moved onto pop music. Care about that if you will, but what I’m interested in above those formalities is the strength of the latest single, “Violet”, which is like electronic island-hopping — full of quite cheesy yet somehow satisfying flutes, drums, and soaring vocals. They will be self-releasing their self-titled album on October 8th; stay tuned for our review. On “Solar Plexus”, Hollow & Akimbo’s first single from their upcoming Psuedoscience EP on Quite Scientific Records, the duo blends often understated drum n’ bass rhythms with pop vocals that echo into infinity. It’s a blend of electronica and pop music that rarely happens in this way, and its educated structuring really lends itself to a full interplay of guitar, synth, and noise. I’ve been a big fan of Bam Spacey‘s after his two previous EPs won me over, and it thrills me that he has now partnered up with musicians as internationally-notable as Sweden’s Club 8. The original version of this track is on Above The City out now on Labrador Records. Summer is officially over, but that doesn’t mean you can’t extend the party a little while. 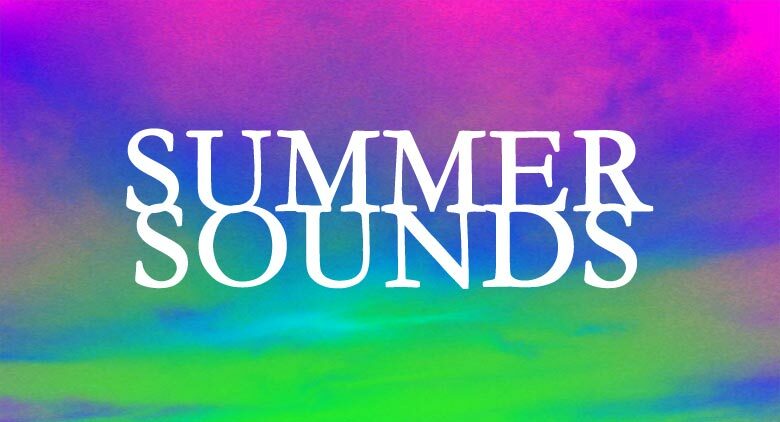 Listen to multiple year of our top summer hits, archived into one easily digestible post.